Did Apple Just Ship / Release iPad 3G Orders? From the looks of things, the iPad 3G may have shipped today from Apple. One of the readers here at Social Media SEO just sent me a break down of his credit card statement, and also screenshots of Apple’s shipping policies. This might be evidence that your brand new iPad 3G has just shipped from Apple. 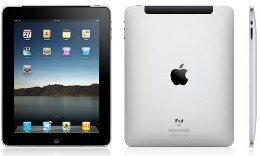 Please let us know as soon as your receive your iPad 3G! Same thing happened to me. I just checked. I used the Apple Financing Card and just checked my available credit. It is exactly my limit minus the amount of my iPad order. Also, I received an odd email from Apple this moringing regarding my iPad order. Thanking me and saying that the order will ship in Late April and that I will receive a confirmation email when it does ship. If that guy’s cc says payment due today then the month’s statement closed a week or more ago. That mean the charge or charges that is listed there have been on there for a while and not todY. Most likely if this legit the charge for verfication is what wee see. If your reader could show us the apple order date that would show whether he ordered it a few days or weeks before the statement closed. Well, I opened my Apple Finance Card account just to buy the iPad. I bought some iPad accessories too, which already shipped on April 3. My credit card statement from last month came today. As of that statement my available credit did NOT include the authorization for the iPad itself. That authorization showed only today. I believe it is a positive sign. Also, the expected ship date for the 3G has changed to May 7 for new orders, as of today. This takes desperation to new depths. Come on people, I can understand the excitement, I too am awaiting my iPad 3G model and I too have a "late April" estimated ship date. FYI, to the person who posted this as well as the actual person who took a screenshot of their credit card statement. Your available credit will be reduced the moment Apple puts through the authorization for whatever amounts equals your order total, including sales tax — that doesn't mean your iPad has shipped yet all that's saying is just like the rest of us when you placed your pre-order Apple, Inc. "authorized" your credit card and that will become an actual "charge" to your account when the actually ship it. Your credit issuer covers their position in this by reducing your available credit immediately, FOR OBVIOUS REASONS! Oy vey. This frenzy has officially turned into so much hype as to become BS posts like this! Calm down everyone and remember to breath. Sorry, Susan, but you are confused. Yes, they only charge your card when they ship, but when you place the order they do a pre-authorization for the total amount. I ordered mine on Apr. 6, and they did exactly that. My bank, as most do, reduced my available credit by that amount for several days, in anticipation that the real charge would be coming through, but it has not as yet. No authorization here. Maybe they are doing it chronologically in order of the purchases. That would explain the "late April" ship date rather than a specific day as maybe not all of them could be shipped on the same date. Bottom line is April is almost over, so in the next 10 days we should all have our 3G's. OK people your ipad has not shipped today i have recieved the same email, it clearly says the estimated "late April" release date. And if everyone just goes to the apple website and you go to the ipad and you click on buy from online apple store under the prices of the 3G model is says "ships by May 7". so now everyone can stop the frenzy about there ipads. I am just as anxious as everyone else about getting theres but at least now we know a specific date and not that end of april BS. copy and past this link and you can check for your self. GOOD LUCK! Well no card charges for me yet. I ordered my IPAD first day at 0536 in the morning. Hope it ships soon. Looks like we're getting them 4/30. Check out the Apple site for more info. I received the same email as others yesterday, thanking me for my iPad purchase. But no charge yet on my card, either. I read today that the confirmed release date is April 30th, though. Does this mean even though I got free ground shipping that mine will be HERE on the 30th? Or ship out on the 30th? Charges hit my credit card this morning (4/21) but per Apple's site, it has not been "prepared for shipment". Still expect to see it on 4/30. Likewise . . . I issued a preorder request as of 03/19/2010 via Apple's website and secured an iPad 3G using a debit card. I also ordered a case at the same time. Charges hit my account for the case five days prior to its arrival . . . from China! Today, Apple hit my card for the full balance of the iPad plus tax. I'm clinging to the hope of a speedy delivery. I have a pending transaction for the cost of my Ipad 3G on my debit/credit card today. I think they are coming soon!!!! I just checked my account and yes indeed, I have an authorization for the full amount on April 21st.I think your right. I used AMEX and got a charge from Apple Store on 4/20 for $15.90 for expedited shipping + tax, but no actual charge for the iPad…This AMEX is a charge card so they do not do "holds", only actual charges. Money came off the card today. If it takes 5-days to ship, less the weekend, we're getting them next Friday. Happy iPadding everyone! I ordered my ipad G3 on March 12. This week I was charged for it. But I bring up my order account and it has not shipped. I hope to get it on the 30th. Apple had already said we would receive them on Friday, why is there any confusion? I had a charge on my card for the ipad last week and now it is gone. Were they just checking to see if the company would take it? I was a early buyer and hope to get it Friday. Indeed, it does show that a transaction from Apple is now pending on my card. From what I've seen, a store will send a hold to your credit card when you purchase something to see if it will go through, then it will get released shortly after IF the items aren't shipped. That is what happened on my card. The day I ordered, I saw a huge hold on my credit card, a few days later it was gone, balance was back to a previous amount prior to ordering my iPad. Over the last month, I've seen smaller holds appear from Apple, then a charge as they ship pieces of my order (the case went as one shipment, then the camera adapter). I didn't pay attention to how long the hold stayed until the charge. But according to Apple, they don't charge you until your product ships, so billing submitted the charge, probably a delay to make sure it goes through and then shipped. If it is coming from China like everything else has, that would be about right, it takes 5-6 days for something to ship from there via FedEx and the other items I bought. I used a PayPal "Secure Card" to pay for mine. They put an authorization charge on it last week, but now that charge has expired and nothing else has changed. Not sure what's going on, but Apple has assured me twice now that the 3G will ship this week. Apple took the full amount of my and my son's iPads from his account today, although the shipping status is still late April.